A little background. Derick and I met Francisco at San Juan 70.3 back in 2011. We were hanging out in the lobby of the Hilton Caribe, I with my pink camouflage Quintana Roo bike. Suddenly I notice a little guy admiring it. And by ‘guy’, I mean a kid. A very small kid, as in 2 years old. His dad piped up and told us, “He is fascinated by bikes!” We kept running into this family through the course of the days in San Juan, as 2-year old Ian could not get enough of this bike. Finally introducing ourselves, this was when we met Francisco Guzman and his family (wife Sarah, son Ian who is now 8 and daughter Laura who is now 5). Little did we know that this was the beginning of what would be a long coaching relationship with Derick and friendship for us all. Francisco is rarely short of words, as he once described himself as “an excited little Mexican.” I figured he would be a fun person to feature here on behalf of Durata, as he has now been with us for 8 years. This one was better as a straight up Q&A. Kelly: Francisco, tell us a bit about yourself; where you grew up, sports and activities you did as a kid, family. You have a pretty interesting back story in terms of where you’ve lived and your early sporting life. Francisco: I was born and raised in Mexico City, although I spent my early childhood in Sheffield, England where my father got his PhD. English was my first language. I actually had to go to speech therapy when I returned to Mexico to learn how to roll my R’s (I hated it!). My first sport was gymnastics, which I did until I was 7. I got tired of gymnastics and I decided I wanted to play football (yes, the American type), and be like Lynn Swan (my hero wide receiver from the Steelers). My mother, however, said “no way Jose”, and while I hated her at the time, now I truly thank her. She sent me to track and field practice for kids. This was back in 1981, and track immediately became the center of my life. I did my first track meet in 1983 and qualified for Nationals at age 11 in the 90-meter hurdles. The vivid memory of the 1984 LA Olympics of Carl Lewis and Mary Lou Retton sealed the deal for me. I spent many years trying to be a high jumper, going to the Mexican Olympic Center in 1987 after being recruited by a Cuban resident coach to train, but was never able to jump over 1.95m (6’5), which really made me more of a “low jumper”. After she left, I actually had a Polish coach that used to joke about this (sic., talk about encouragement and positive psychological reinforcement). But this coach, despite his jokes, after a terrible Junior Nationals in which I went blank (three fouls at my first height), changed my life. He asked me to try pole vaulting. On my first day of trying with a training pole I was able to complete a full jump. The next day when I got back to training, my coach took me to chat with the national pole vaulting coach and “handed me off”. I was placed under his supervision. 3 weeks later I did my first meet, qualifying for Senior Nationals, and 5 weeks later I placed 5th in the Mexican National Championships. The next year (1991) I became Junior National Champion and represented Mexico at the Pan-American Championships in Kingston, Jamaica. My dream was to become an Olympic track and field athlete, but I wasn’t born with the right genes for that. So after an 11 year track career, and given the lack of serious collegiate sports in Mexico, I retired at 19. Kelly: A retired champion by age 19! Awesome. I know you now live in Dallas, what prompted the move? Francisco: What brought us to Denton was my job at UNT (University of North Texas). As an academic, you go to where the jobs are. We never thought we’d love it so much, but 12 years and counting and still loving it. Texas has been very good to us. As you know, Sarah is from Maine, and I became a citizen in 2013. Both kiddos were born in Denton. Kelly: Tell me about your foray into triathlon. What prompted this, and what events did you start with? Francisco: After “retiring” from track in 1992 and understanding that I really didn’t have the right body type to be a bodybuilder (not kidding about this one) a friend challenged me to run a marathon. I told him he was nuts. I was a track diva and any running over 3 miles was punishment. But after sleeping over it a few nights, we signed up to run the 1993 NYC marathon. Under trained and ignorant, I finished and promised to never again do something similar. And you know the rest of the story… I was hooked. I ran many marathons and running became part of my lifestyle. My first flirt with triathlon was in 2002. I had gone through some personal pain (aka., divorce) and needed to find some physical activity that could get me out of the routine. Running was my “common place” and I couldn’t do it. It was mentally exhausting. A friend of mine in Spain suggested doing a triathlon. I bought a second-hand bike, helmet, shoes, and a pair of tri-shorts for 700 euros, and did the Barcelona Olympic Triathlon in October. I clearly remember thinking at the starting line at the beach, “why are all these people wearing these funny looking black neoprene suits?” (Ignorance is bliss) It was painful. The water was cold, the sea choppy, I suffered a lot. I think I came out of the water in 38 minutes. There were less than 10 bikes left in transition, and everyone there with me was at least 30 years older. I remember as clear as water, the sound of the lead pack passing me as I got out of T1. I must’ve just finished clipping my shoes and getting up to speed when a volunteer screamed at me “stay to your right”… and then the sound of the train (shhhh… fiu, fiu, fiu, fiu…). I couldn’t understand how these guys were going so damn fast! (Ivan Raña and Marcel Zamora; who now I know who they are, were racing that day). I was able to draft behind the second or third pack of women (it was a draft-legal race) and then ran a pretty decent 38 min 10K. I did another Olympic distance in 2004. 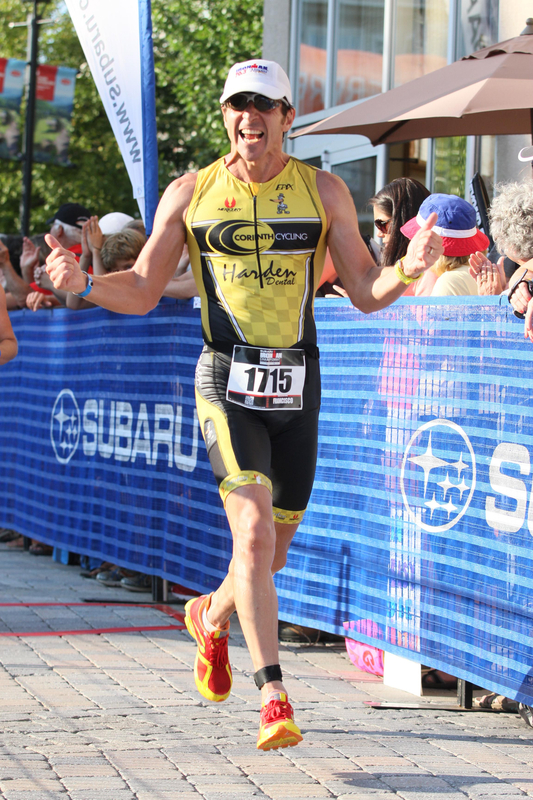 It wasn’t until the spring of 2007, after I moved to Texas, that triathlon became my main sport. And this was due to a long-lasting calf injury that nagged me for about 3 months over the winter and I decided my body could benefit from more cross-training. I must add, years passed before I accepted I was a triathlete. I used to say I was a runner that did triathlon. This true mental transition happened years after I started training with Derick; weird, huh? Kelly: What is your favorite thing about sport in general? Francisco: Plain and simple, it’s fun. To me sports are my play time. They have been all my life. And I love to have found Sarah who feels the same way and to be raising our kiddos with this mentality. Not that it’s our ONLY play time, though! 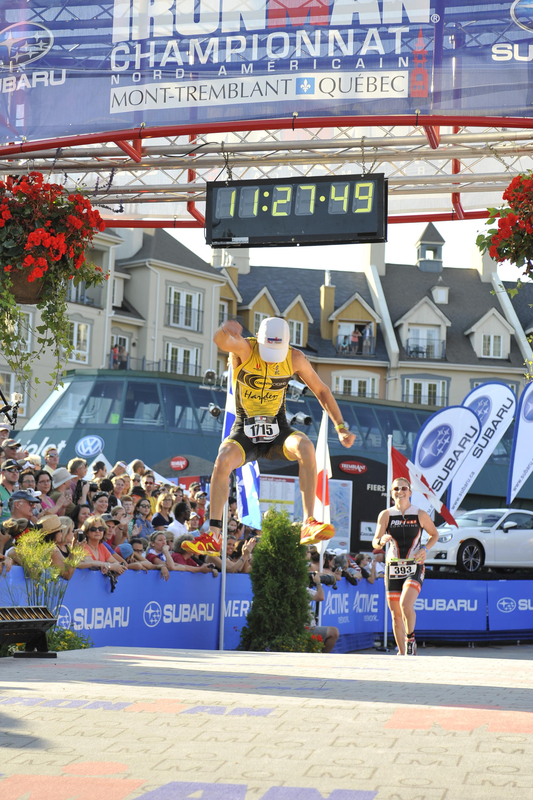 Triathlon in specific is a personal challenge. It’s my time outside. It’s my time on a fancy carbon bike that has replaced my time on my BMX bike as a kid. It used to be freestyle and quarter pipes, now it’s farm roads and nature. It’s also a great excuse to travel. 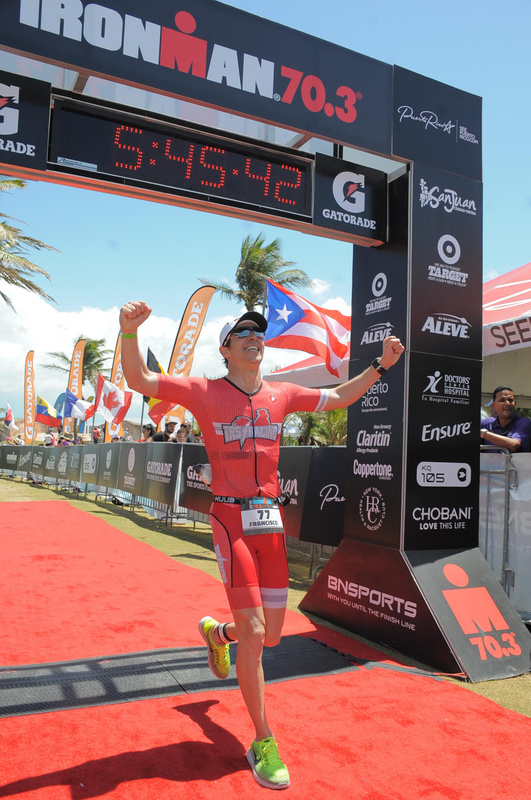 Francisco: Despite the heat that always gets me, San Juan 70.3 is my favorite. It’s past slogan “race in paradise” is pretty accurate. It’s a race with perfect American-type organization but with Latin flavor. 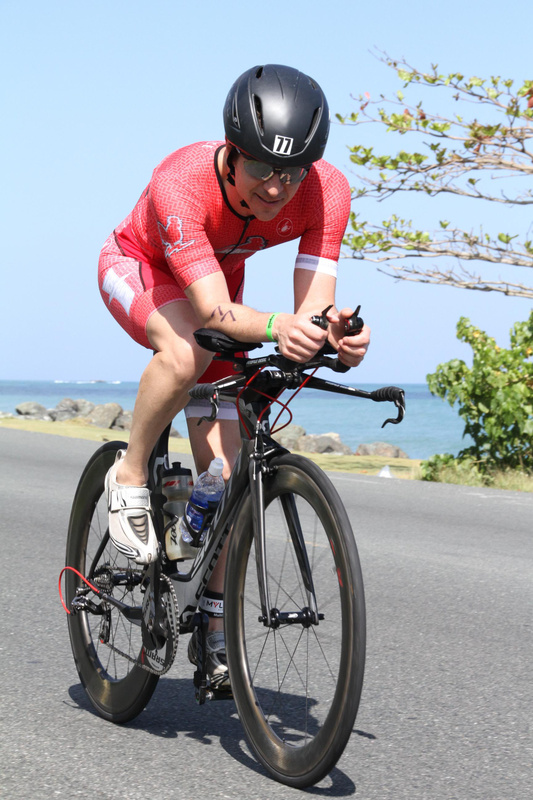 The environment in San Juan is very unique, the race organizers are amazing, and the volunteers and crowd support are spectacular. Racing there this year was very special. Puerto Rico needed our support, both financial (as tourists) and moral (as fellow human beings). For those of us who had raced there before there were some evident differences. The island was clearly battered. The vegetation and infrastructure affected. And the spirit of the people is clearly hurt. The race, however, was as any other year. If you hadn’t raced it before you wouldn’t have known the difference. They did an amazing job and it felt great to be there to race for Puerto Rico. The post-race opportunity to go and help out in the cleaning and restoring of some houses in a neighborhood (barrio) close to San Juan, was the cherry on top. There were more than 100 volunteers and the IM Foundation did a fantastic job. Kelly: I couldn’t agree more on SJ as a race favorite; very cool you went back to support the community. Do you have any goals you would like to speak to for 2018? Francisco: Hmm, this one is tough. It’s taken a long time (Derick can confirm) for me to approach triathlon in a truly healthy way for myself and my family. When I’ve focused too much on a specific objective, things have gone wrong for me. So the constant objective is to enjoy the training and racing and have fun. More specifically, in 2018 I’d like to have a great race in IM Cozumel; meaning to put together a solid day up to my true potential. I once read a quote that sums my approach to triathlon and my objectives better than anything else: ‘I don’t run to add days to my life, I run to add life to my days”. Kelly: Great quote to live by. What do you want Ian and Laura to learn from your involvement in sport? Francisco: That sports are and should always be fun. The mental and physical benefits from it are a plus. Francisco: Geeez… I love being on stage, so that explains my teaching ?. If I could choose one band to be in today, it would have to be the Foo Fighters. But given that I sing, me replacing Dave Grohl would be weird. So I guess I’d like to be Dave Grohl? Kelly: Got it, so you’re saying you’re in love with Dave Grohl. I know you’re not alone there. Final question, does Ian still have an affinity for Pink Camo bikes even at age 8? Francisco: I’m going to say yes. He still loves bikes! And to ride his bike! However, nowadays he’s understandably more enthralled by the doings of Danny McCaskill than of Lionel Sanders, Daniela Ryf, or Sebastian Kienle! But I’m willing to bet that if Laura could lay her eyes on that pink camp bike of yours, she would give you a 5-minute chat on how it’s the coolest, most beautiful thing she’s ever seen (her bike is bright pink and black). Kelly: I wish I still had the Pink Camo bike to gift to her! Thanks for taking the time Francisco, and all the best for your goals of running to add life to each day!